Now Hiring Part-Time School Bus Drivers in Albany, NY! Competitive starting wages! 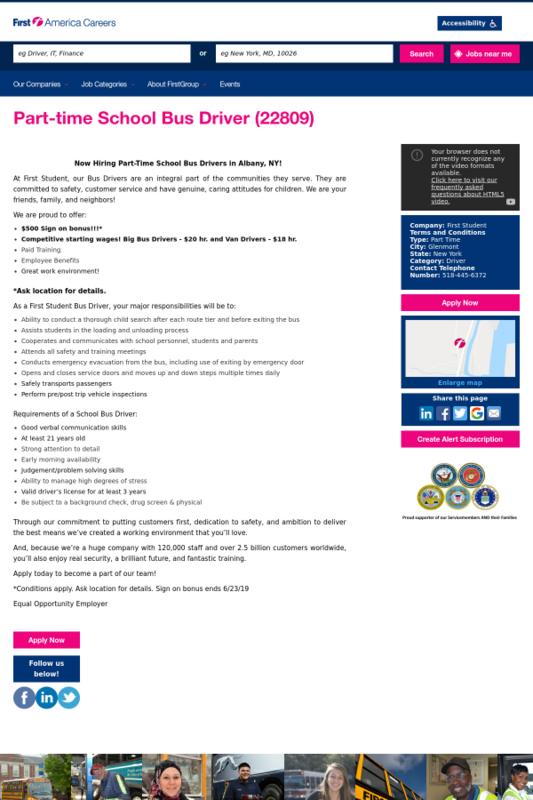 Big Bus Drivers - $20 hr. and Van Drivers - $18 hr. Confirmed 9 hours ago. Posted 23 days ago. School Business Driver - Federal Branch - $3, 000 Sign-on Bonus Available! School Business Driver - $3, 000 Sign-on Bonus Available! School Business Driver - $20 / HR - $1500 Sign on Bonus!